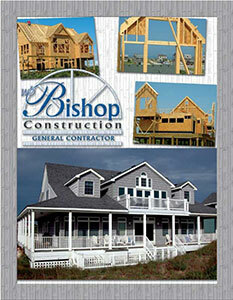 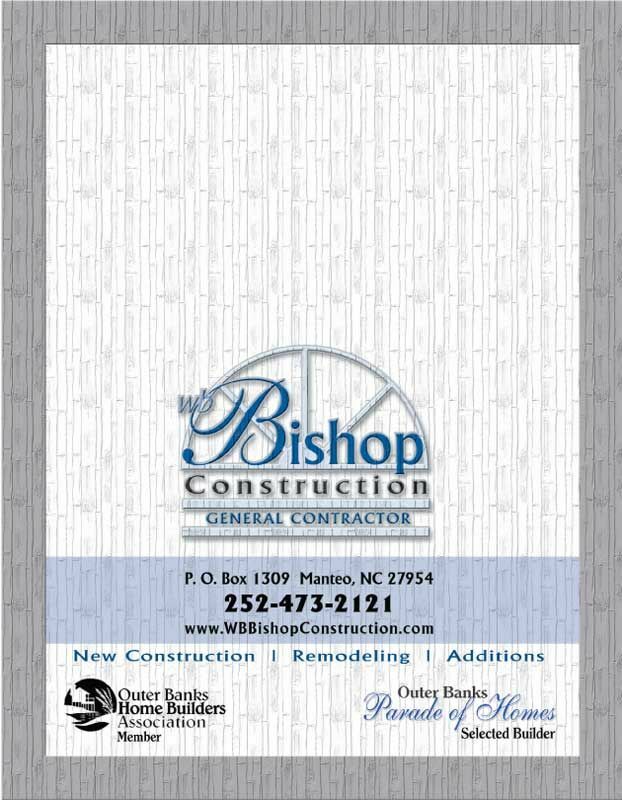 A four page 8.5 x 11 brochure for a vacation home construction company location on the Outer Banks of North Carolina. 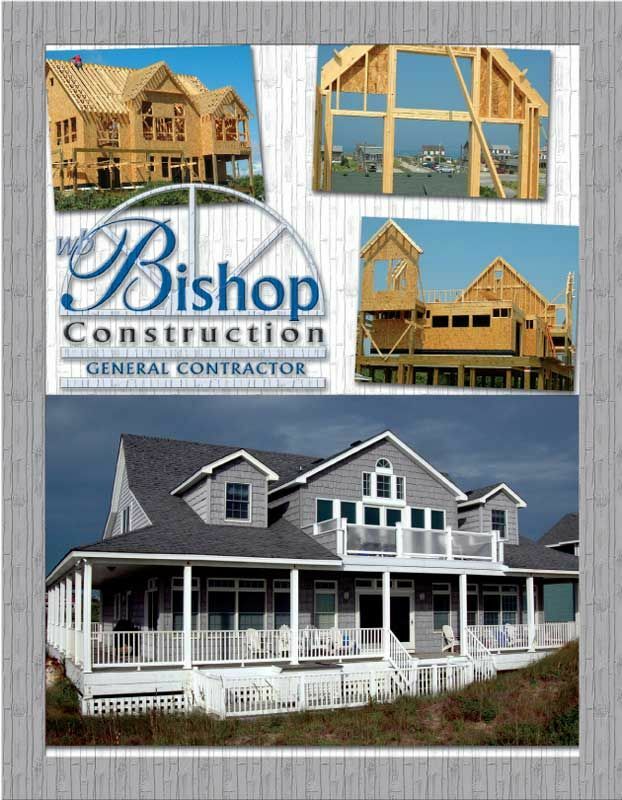 The brochure highlights the beautful luxury homes built by WB Bishop Construction. 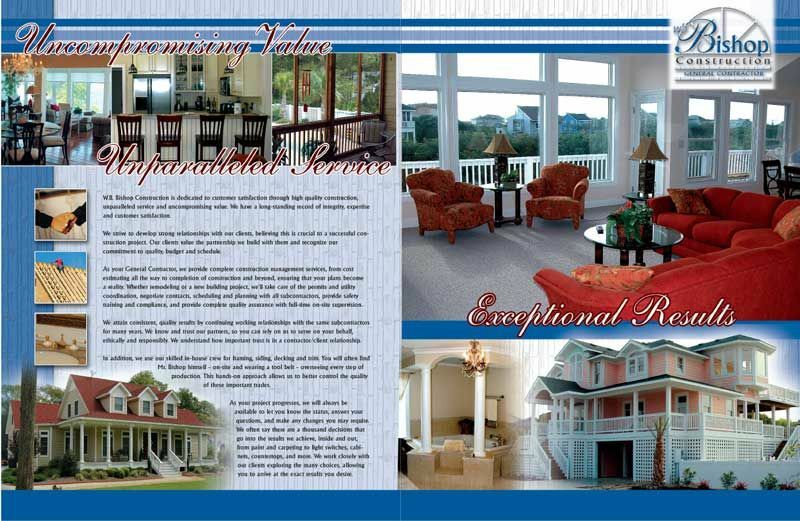 The brochures were printed on 100# glossy stock.